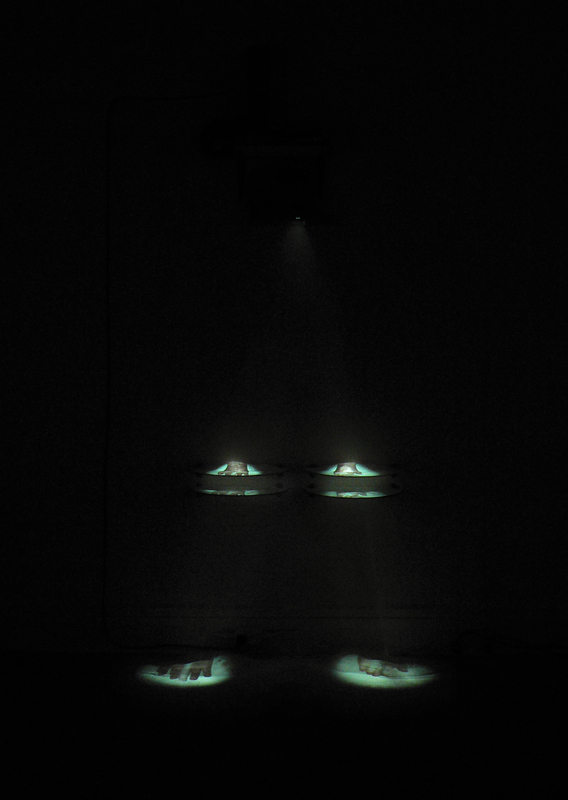 Installation view 1 & 2, PANOPTICON 2009, Installation, 125cm x 200cm x 45 cm. 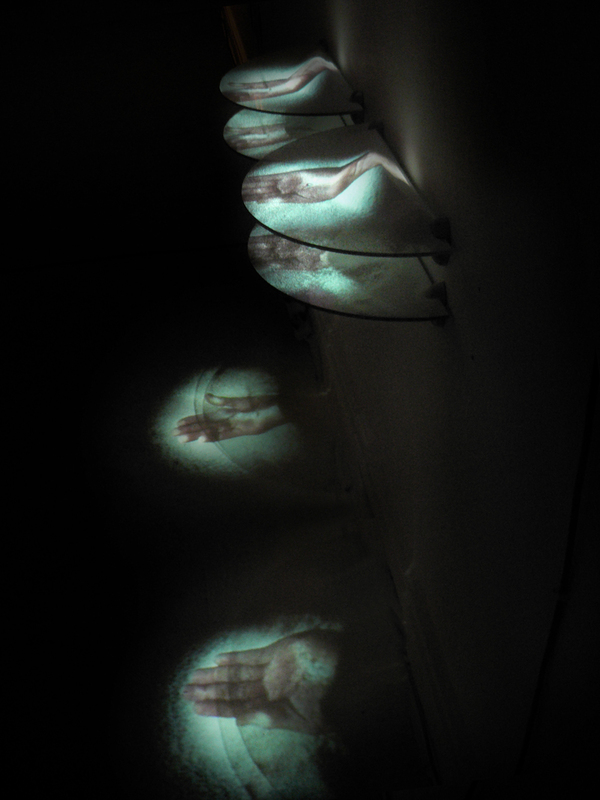 Edition of 3.
have become small fountains through which the salt materializes. For this work, I thought specifically about the notion of distance, of looking outward into space as a means of establishing a relationship with the world. Often, one imagines that the sensory act of looking is some kind of guarantee of objective knowledge (as opposed to say touching, smelling or hearing – sensory experiences that are somehow ‘suspect’ in their subjectivity, their intimacy). But here, this certainty is questioned and rendered ambivalent through the disappearing body: the gaping wound that makes of Saint Thomas a believer. That is to say, exactly because one believes in what you see with your eyes, you are drawn into a complex system of subjective beliefs that, as in the case with stigmata, may have a very real impact on the body – both yours and that of others. The viewer is ultimately positioned as an integral part of the work itself, taking the place of St Thomas and the desire inherent in his request to become a believer. By looking at the wounds, St Thomas becomes a believer in a particular kind of reality, one constituted by the interrelated values of ‘seeing’ and ‘believing’. Of course, given the title of the piece (Panopticon – a reference to Jeremy Bentham’s plan for a prison), relations of power are inherent in this exchange between St Thomas and Jesus, the viewer and the artwork. In Bentham’s Panopticon, the reality of the prison is fundamentally underpinned by, and indeed constituted by the act of looking.